MacPokerOnline.com » Poker News » Everest Poker turns 5. In today’s competitive poker scene, its no wonder you see poker rooms come and go often. For a poker room to make it 2 years, remarkable, 5 years, unbelievable. Everest Poker has just completed that feat. 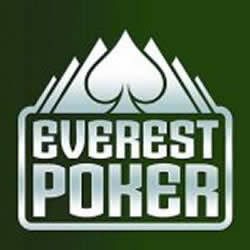 Running right along side the bulls, Full Tilt Poker and PokerStars, Everest has held its own. Everest Poker will be celebrating the month of August with their 5th anniversary. During this time, they will be holding five exclusive promotions for their players at Everest. Perhaps the most interesting event is a $500k guaranteed tournament, but included in that prize pool is a paid trip to Las Vegas to watch the November Nine duel it out and crown a champion. – Refer 5 friends to Everest and earn a $5,000 freeroll ticket. Although Everest does not accept U.S. players, they are well known for all of their coverage at the World Series of Poker this year. If you have not yet signed up for Everest Poker, be sure to use our bonus code MAC300 to receive 100% up to $300 on your money.